When Lindsay Lelivelt registered for her first semester at Gustavus Adolphus College, she tried to sign up for a 300-level English course typically reserved for juniors and seniors. “I always knew I was going to be an English major,” Lelivelt said. “My favorite English teacher in high school (Robert Maas ’97) went to Gustavus and always talked about how great the community is. 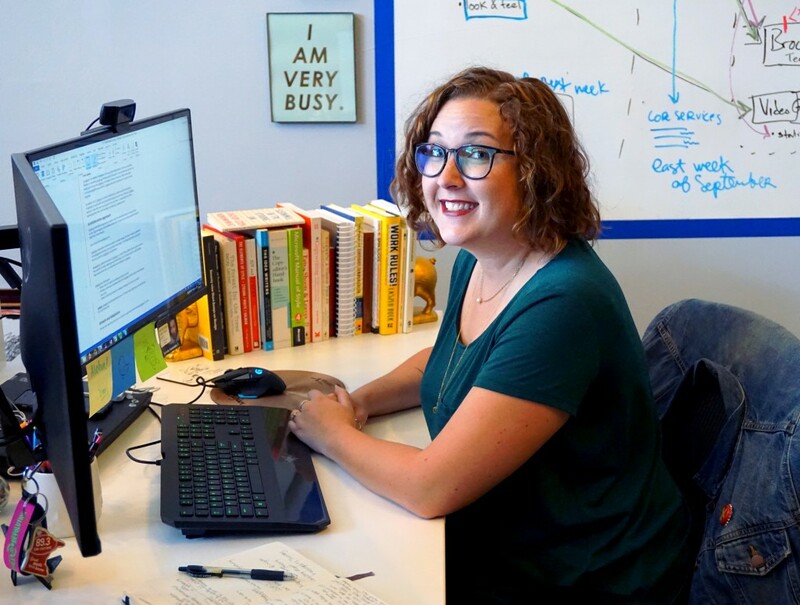 I went on a tour and loved it.” The Plymouth, Minn. native had no idea that her studies and campus involvement would eventually lead to a high-profile position at a growing Bay Area technology company. During her time at Gustavus, Lelivelt was heavily involved in the College’s literary circles. After serving on the staff of the Gustavian Yearbook, Lelivelt began working for The Gustavian Weekly, eventually becoming the editor-in-chief of the campus newspaper her senior year. She also contributed to and edited Firethorne, a collection of student poetry, prose, and visual art that is published twice each year. After graduation, Lelivelt completed an internship at United Healthcare before accepting a position at a small web boutique. In addition to her full-time marketing, public relations, and social media responsibilities, she also found time to serve as the managing editor of Paper Darts, a popular literary journal based in the Twin Cities. 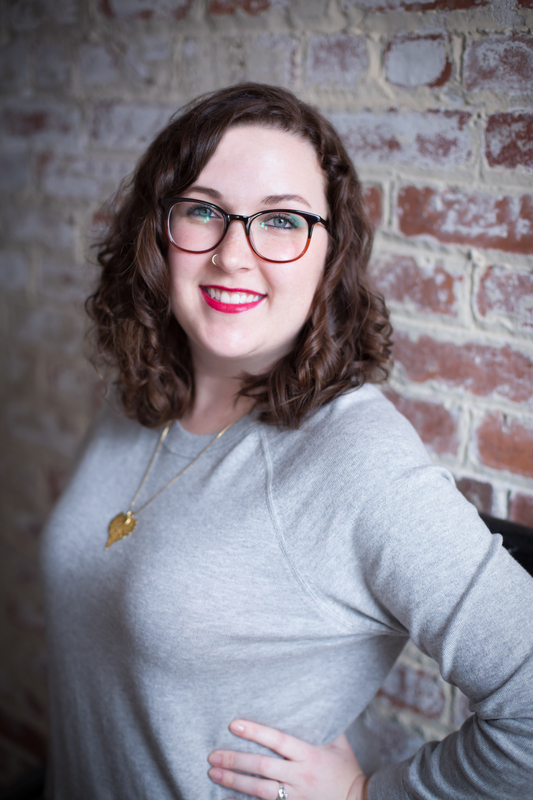 In her role at Paper Darts, she was able to interact with artists and writers from across the country and help plan and execute fundraising events for the journal. The writing, editing, and communication skills that Lelivelt began developing at Gustavus eventually led her to San Francisco, Calif., where she works as the communications coordinator for Bishop Fox, an information security firm that contracts with Fortune 500 companies and large banking institutions to identify cyber threats and protect against data breaches. Initially responsible for social media, project management, and editing all client communications, she was recently tasked with designing and implementing a communications division within the fast-growing company. “When I was hired, I was the 27th person to work for Bishop Fox. In the last two years, we’ve grown to over 70 employees,” Lelivelt said. In her new role, Lelivelt’s focus has shifted to internal and external communications, training, and overseeing the creation and maintenance of print and web content. She also works closely with the company’s marketing team to shape and maintain the Bishop Fox brand. “I wouldn’t be able to do that if I hadn’t been an English major. Being able to write clearly, communicate, and meet deadlines is very important in the world of technology,” she added. Now the sole communications coordinator for Bishop Fox, Lelivelt is implementing a communication division within the company. After striking the balance between Gustavus’s challenging academics and many opportunities for student involvement, Lelivelt feels well-equipped for whatever comes next. “The ability to try different things and find the space to grow is what makes Gustavus special,” she said. Dear Lindsay, So great to know that you are doing well. Like you, I majored in English literature and have found it to be a treasure trove for all of life. Thank you so much for the update. I really appreciate it. Woot!!! And thanks for the shout-out! I’m so proud of you!